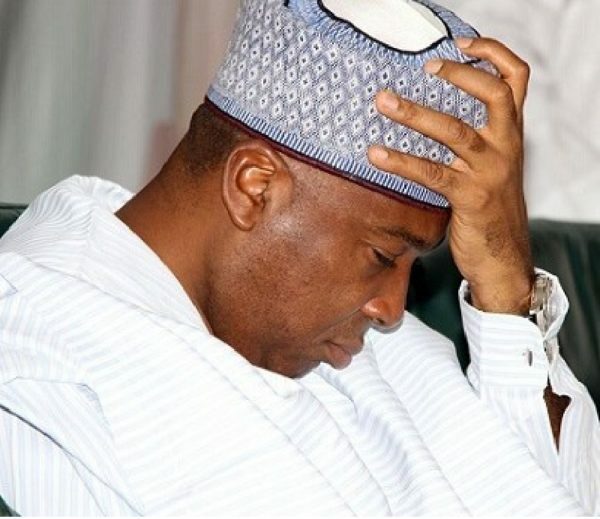 The Nigerian Police High Command has promptly debunked the alarm raised by the Senate President, Dr. Bukola Saraki, that the police were about to implicate him using ‘‘coerced’ cultists”. The Police said the alarm was a ruse, misleading and amounted to an obstruction of justice. Saraki raised the alarm on the floor of the Senate today, with the Senate resolving to send a 12-man delegation to discuss the matter with President Muhammadu Buhari. But in a swift statement, the police expressed shock at what they described as “unbelievable claims, unverifiable allegations and unfounded accusations”, by the Senate President. “There is no iota of truth in the allegation and false assertion by the Senate President of plot against him by the IGP to implicate the Kwara State Government and the Senate President in any criminal matter. Until investigation is concluded, any person (s) or group(s) who tries to interfere in the investigation process by action or utterances is committing an offence”, the Police spokesman, Assistant Commissioner of Police, ACP Jimoh Moshood said. Moshood explained that the Kwara State Police Command on the 11 May, 2018, paraded six suspected hired killers, all from Ilorin, who it said had admitted and confessed publicly killing innocent persons in kwara State and other States of the country. 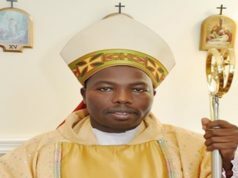 “The victims according to the suspects were targeted and killed on the instructions of their sponsors”, Moshood stated. The suspects were identified as Abolaji Safti Ojulari, Lanre Mohammed Soliu a.k.a Askari, Azeez Moyaki, Suleiman Babatunde, Yusuf Habeeb, Umar Yahaya, all from various quarters of Ilorin, the Kwara state capital. The police also listed the 11 victims of the alleged hired assassins as Bukola Ajikobi, Azeez Lawal and Bayo Ajia, all killed between 2016 and 2018 in Ilorin..
Other alleged victims were identified with their first names only: Lateef, Jamiu, Segun, Wasiu, Musiliu, another Lateef, Abbey a student of Kwara Polytechnic and Lanre, who was killed on 23 August, 2015 at Isale Aluko Area of Ilorin. “Consequent upon the public confessions of these vicious and notorious killer squad to the killings in cold blood of more than 11innocent people in Kwara State and other States of the Federation, the statutory procedure and practice in the Force is that such a heinous crime and capital offence is transferred to the Force Headquarters for further investigation. This is to enable a thorough and discreet investigation into the crime. In ordering the transfer of the case, the police headquarters denied any vested interest by the Inspector General of Police. “Nobody, no matter how highly placed would be allowed to interfere or obstruct Police investigation to pervert the course of justice”, Moshood said.. The police also claimed that the transfer of the suspects was consistent with their investigative tradition. According to the police: “Suspects arrested over the mayhem and killings of innocent people in Ile-Ife, Osun State and those arrested in Southern Kaduna crisis in Kaduna State and suspects arrested in connection with Zaki-biam killings in Benue State were all transferred to the Force Headquarters, Abuja for further investigation before they were arraigned in court of competent jurisdiction. Therefore, transferring this hired assassin gang masquerading as cultists in Kwara State to Force Headquarters, Abuja for further investigation is in accordance with Police investigation procedures. The police warned that with the red-herring statement credited to the Senate President, the families of the victims could be discouraged from coming forward to give evidence against them. Saraki told the Senate today that Governor Abdulfatai Ahmed alerted him about the police move. 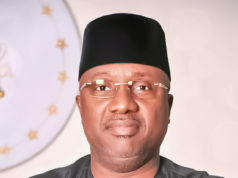 He said he was told by Ahmed that a group of suspects who had been in police cells for several weeks for cultism and whose investigation had been concluded with prosecution about to commence under the State law based on the advice of the Director of Public Prosecution (DPP) and the Ministry of Justice were ordered to be transferred to Abuja this morning. ”In my own view, this plot is an act of desperation, blackmail, intimidation, abuse of office and crude tactics aimed at turning our country into a Police State where top officials cannot be made to obey the law, follow due process and subject themselves to constituted authorities.